Bernal is quite a magical town in Querétaro, and it has the trophy to prove it. 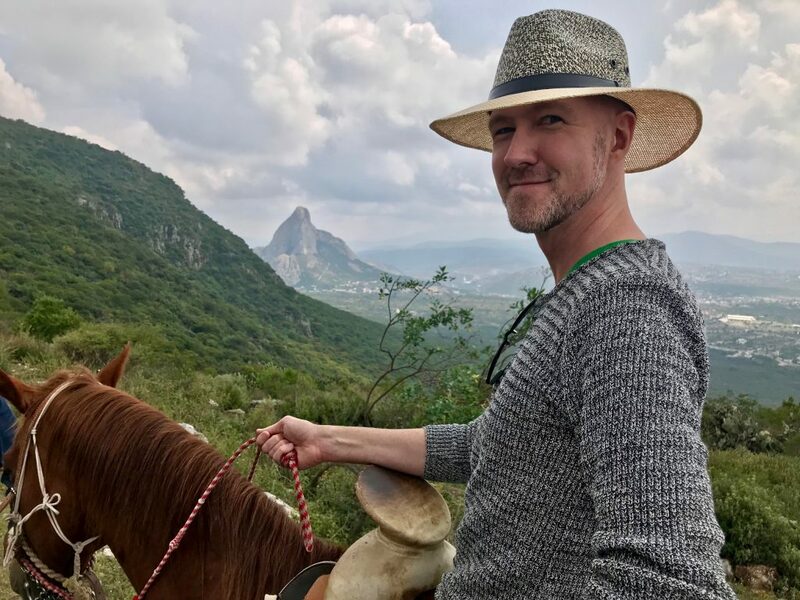 You see, México has defined a few particular towns as “pueblos magicos” — magical towns — and Bernal is one such town to earn the honor, with quite a unique style. As you arrive in Bernal, you’ll find that the colorful local style is quite the eyeful of delight. Warm, vibrant hues are the perfect backdrop for this comfortable place full of life. 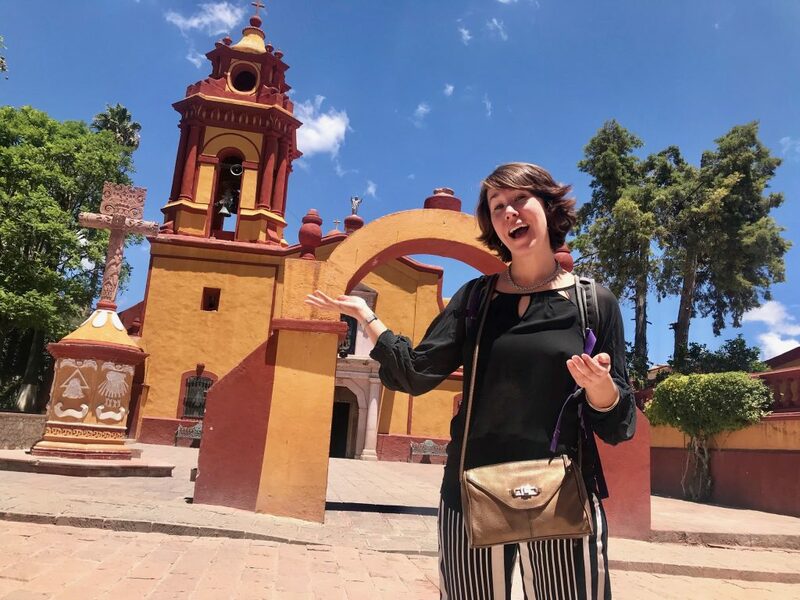 It is easy to stroll around the town, with cobblestone streets connecting lovely parks and gardens, with amazing artisanal crafts and restaurants along the way. As we arrived, we couldn’t wait to check out the attractions! But first, it was time to get settled in. Welcome to a beautiful boutique hotel. 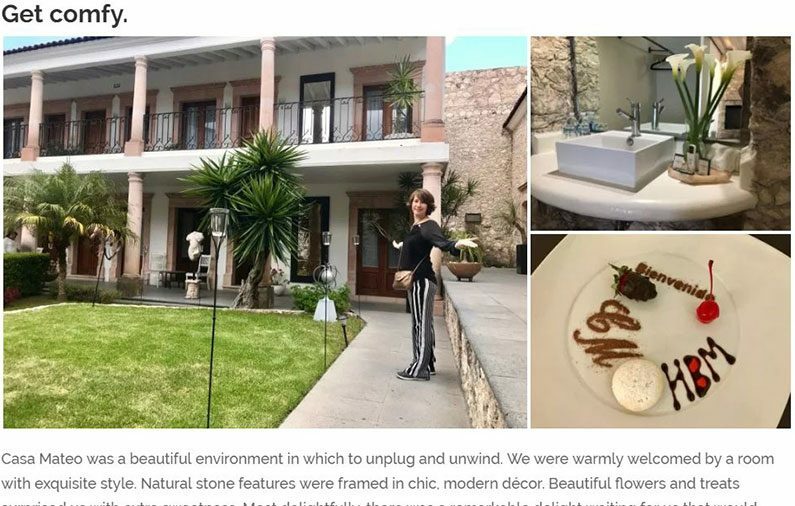 As we checked into Casa Mateo Boutique Hotel, we could tell that we were in for a treat! As we entered, we found that the white stone of the building was framed in lush green verdure, and graced with a turquoise swimming pool. Beautiful flowers welcomed us in various rooms. The unique style of the region was starting to really charm us. Casa Mateo was a beautiful environment in which to unplug and unwind. We were warmly welcomed by a room with exquisite style. Natural stone features were framed in chic, modern décor. Beautiful flowers and treats surprised us with extra sweetness. 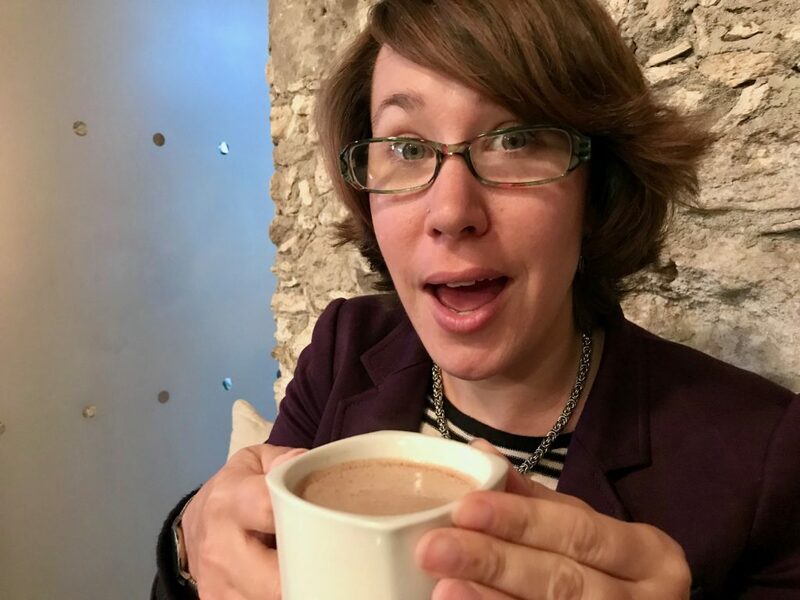 Most delightfully, there was a remarkable delight waiting for us that would spark our romantic side later in the evening — and you’re gonna love hearing all about it in a bit. Get ready for a treat! The geographical jewel of Bernal is the visually striking rock edifice known as Peña. It’s a 433 m (1,421 ft) tall monolith, one of the tallest in the world. With these amazing traits, it is no wonder that the huge rock marvel known as Peña has been crowned as one of the “13 Wonders of México”. From the rooftop of Casa Mateo, the majesty of Peña is framed beautifully in an expanse of comfort and delight. Imagine having food and drinks with this panorama all around you! It’s pretty much breathtaking. Enjoying a few fine moments soaking in the view certainly got us excited about the dining that our first evening would have to offer. 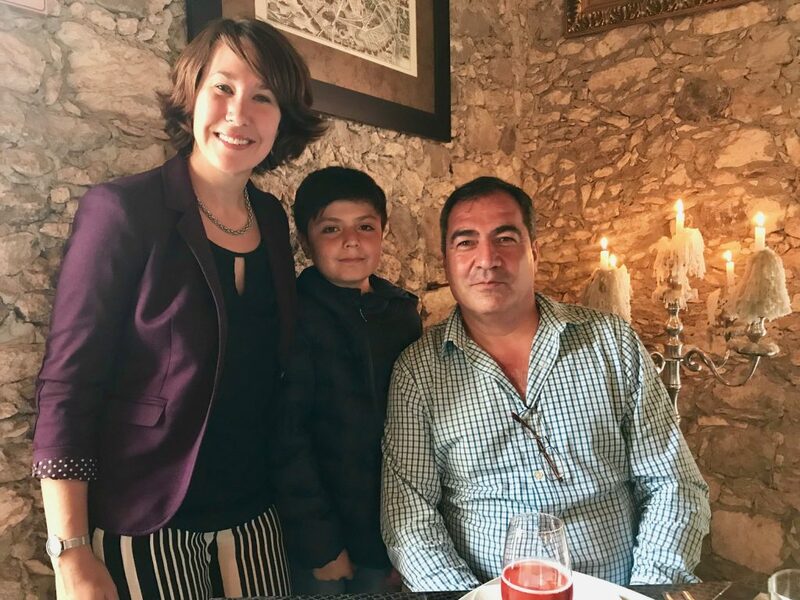 We were delighted to meet our charming host, Mr. Gonzales, and his son, Mateo. Getting to know each other was a delightful experience, and the convivial atmosphere set the tone for a quite an evening. Starting things off in a tasty direction, we began by sharing a bubbly rosé. We noticed something familiar about the shape of the label: it matched the shape of Peña! This bottle wasn’t from just anywhere — it was a sumptuous creation of the region. We started out with one of Ashley’s favorite dishes: an appetizer of octopus, cooked to perfection and complemented with a signature lime flavor. It was clear that we were in for a treat. To make things even better, we were introduced to another wine of the region: a 2014 San Juanito Malbec, which was really marvelous. Our meal of sea bass was graced with a scrumptious tapenade-infused sort of salsa, and was a delicious complement to our lively conversation that carried us onward through the evening. Our eyes certainly widened when dessert arrived! 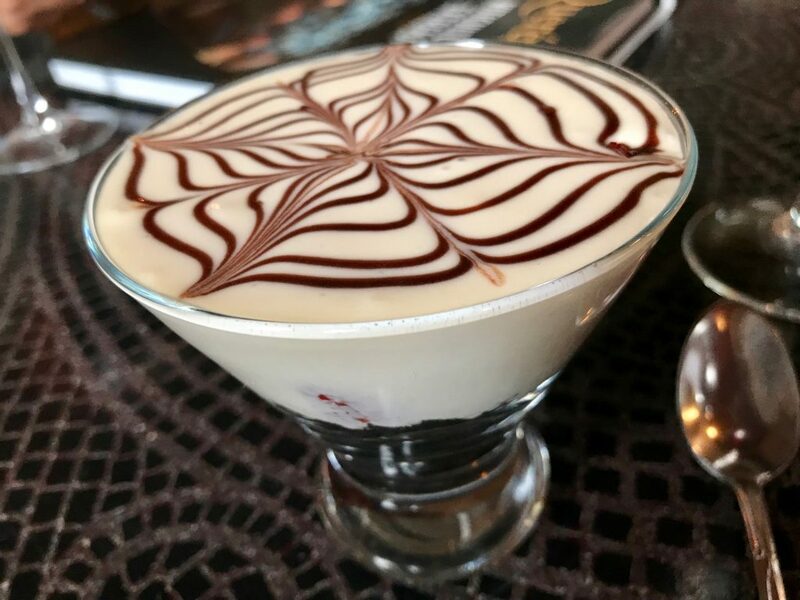 This cheesecake-inspired glass of chocolate-swirled cream and fruit made an incredible experience to wrap up our meal. Our evening was far from over, though! As we wrapped things up, we moved back up to the roof. Drink in the evening view. As evening fell over the striking landscape of Bernal, we took a seat to drink in the view. But the view wasn’t all we had to drink! We were also introduced to the wonders of mezcal. Smiling and laughing together as we learned about the different kinds of mescal and how best to enjoy them, we revelled in the glow of great atmosphere and marvelous company. 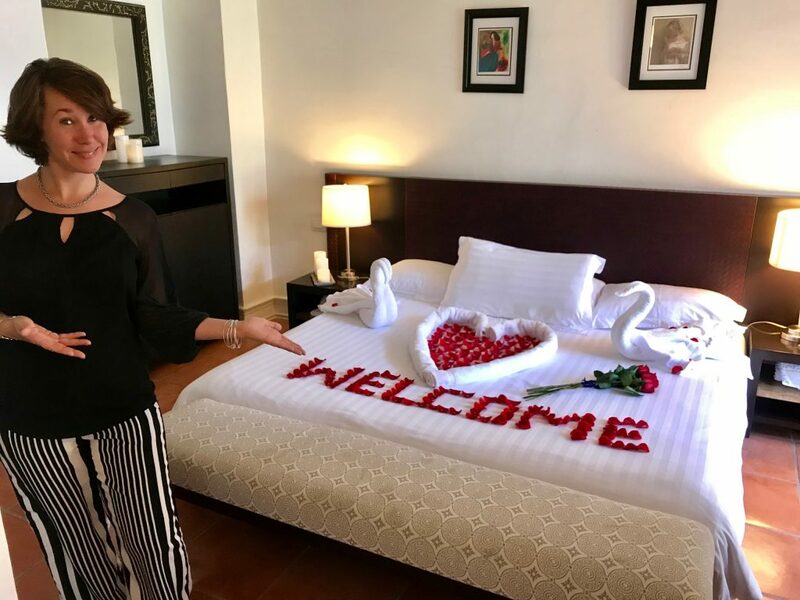 Heading back to the room, we got to enjoy one of the finest surprises of our first day: a gorgeous welcome message of rose petals. Wow! Nothing says “romance” like a bed of rose petals hearts. Although chocolate-dipped strawberries set quite the seductive mood as well. Needless to say, our first night at Casa Mateo was an unforgettable joy. Start the day in style. With all the breakfast options at Casa Mateo, I think we could have tried something new every day. There were options which were traditional to the area, and familiar scrambled egg dishes that we knew and loved. It was a great way to power up for the day! 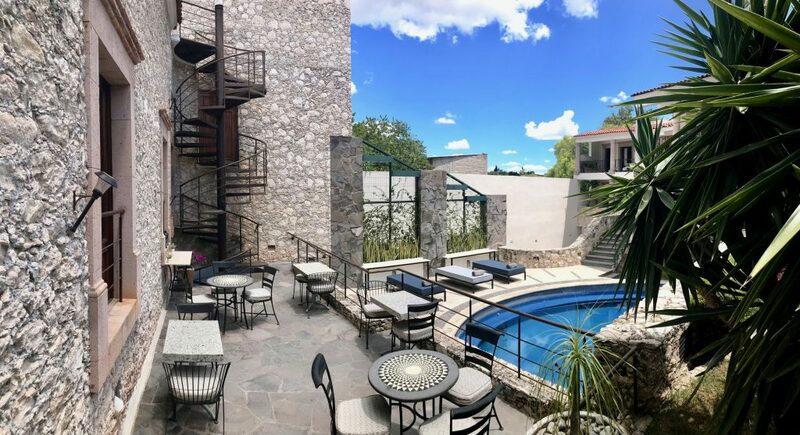 Casa Mateo is part of the Mexico Boutique Hotels collection, which boasts many of the best boutique hotels in Mexico. If you’re looking for a more personalized experience, we highly suggest you check them out! Exploring around the town of Bernal, you will find all kinds of things to enjoy. 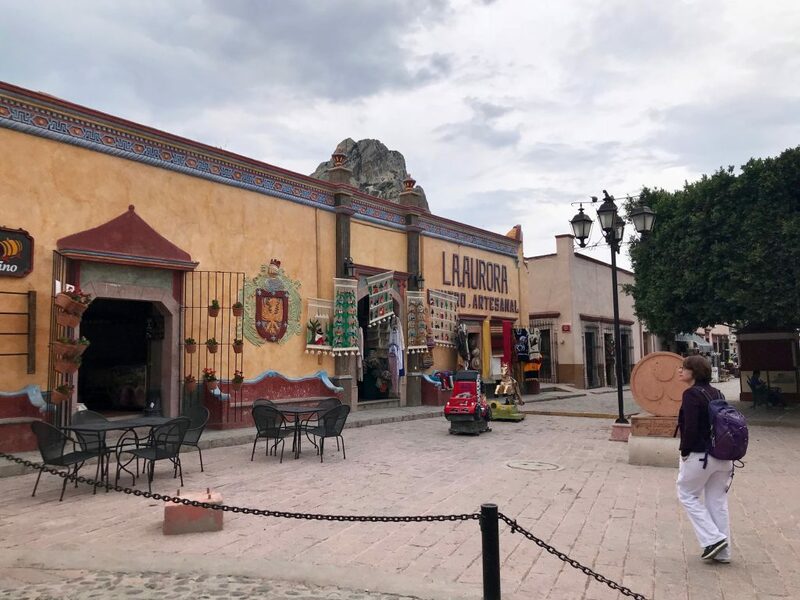 Scattered around the main plaza with a Pueblo Magico trophy as its centerpiece you’ll find a number of artisanal shops full of arts, crafts, and textiles. Browsing from one shop to the next, we found wonderful souvenirs for loved ones: shirts, dresses, purses, and various colorful knickknacks. We even found something for ourselves: patterned sweaters, woven locally! It turned out that these would come in handy for our upcoming outdoor trek in the countryside. 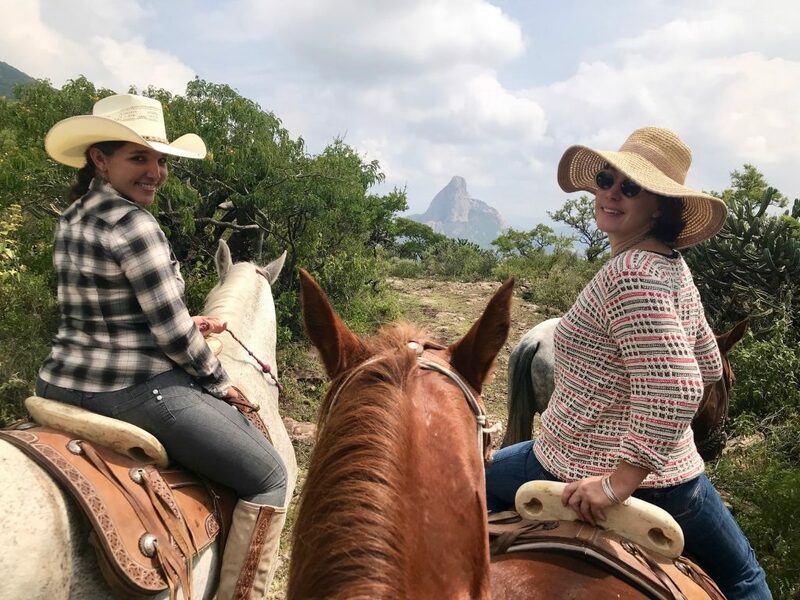 Welcome to Rancho San Jorge! 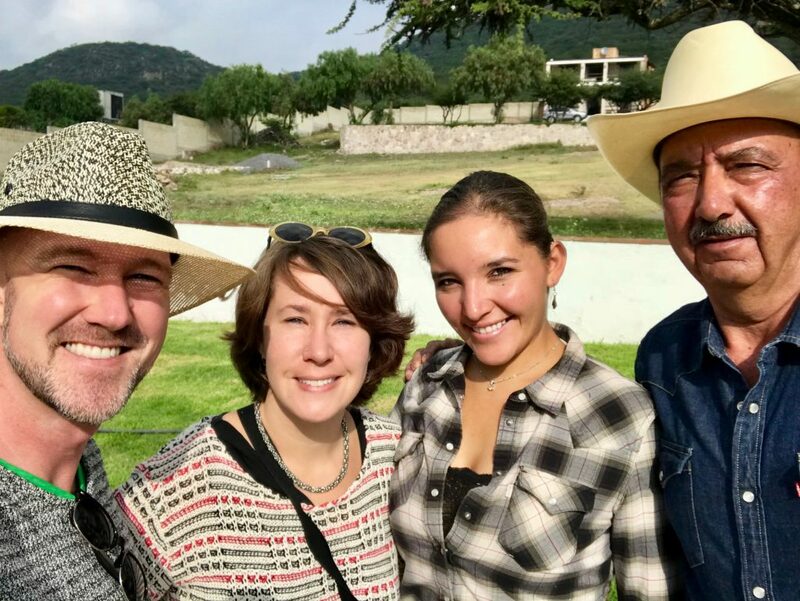 We were super excited to meet the horse-savvy folks at this rancho. 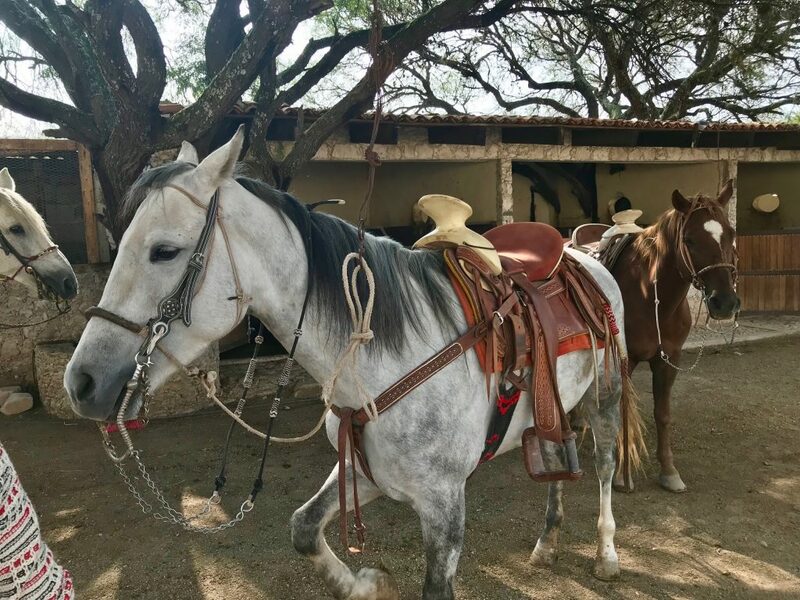 Jorge, the namesake caballero of the ranch, is a genuine seasoned cowboy. He spent a bunch of years stirrin’ up fun around Las Vegas, Nevada — back in the day when there were just a couple of casinos, and they weren’t open 24/7! Liz is a charismatic cowgirl-in-training, hailing from Mexico City. She totally relishes the therapeutic effect that horses have on her soul. 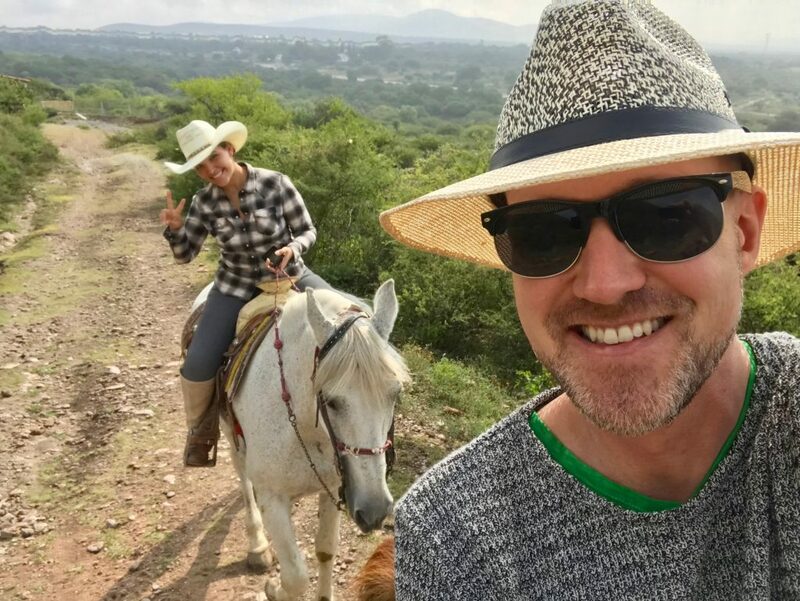 Since her escape from the city has replaced her 2-hour car commute with a gentle ride through the countryside, she may be right about the refreshing perspective of the Rancho! We discovered that Rancho San Jorge offers a number of rooms and bungalows, each of them boasting a unique equine theme. 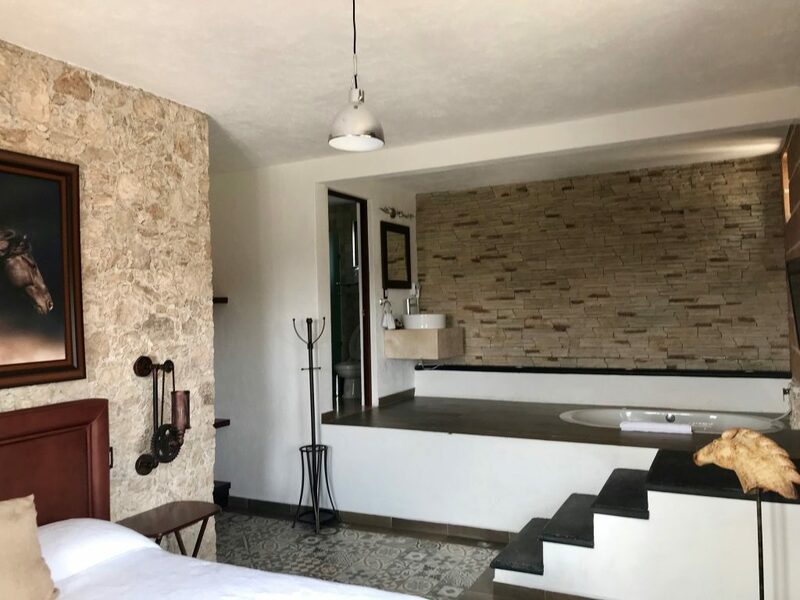 Not only does it feel like a marvelous place to unwind in the great outdoors, but it is positioned beautifully in relation to the stunning rock formation known as Peña. After checking out the cool horse-spangled rooms, we could hardly wait to begin our ride on the horses! Ashley grew up with horses, and rode them regularly throughout her childhood. As for myself — Curtiss — I have not had the pleasure to enjoy so much equestrian experience. Honestly, I was a little bit worried about the challenges this day might surprise me with. If you’re like me, and you haven’t had the pleasure of much horse-riding experience, don’t worry. Jorge and his team make everything incredibly easy and approachable. For starters, the horses were all geared up and ready to go. Ashley hopped on her new horse friend Tango, while I rode upon the back of the mild-mannered horse named Mambo. Once we were settled comfortably on our horses, we were given a nice explanation of how to ride. We felt comfortable in no time, and started riding up the trail. This was it! The horse ride had begun! Along the way, Jorge and Liz explained all kinds of things about the countryside and day-to-day life with the horses. It was really fascinating. 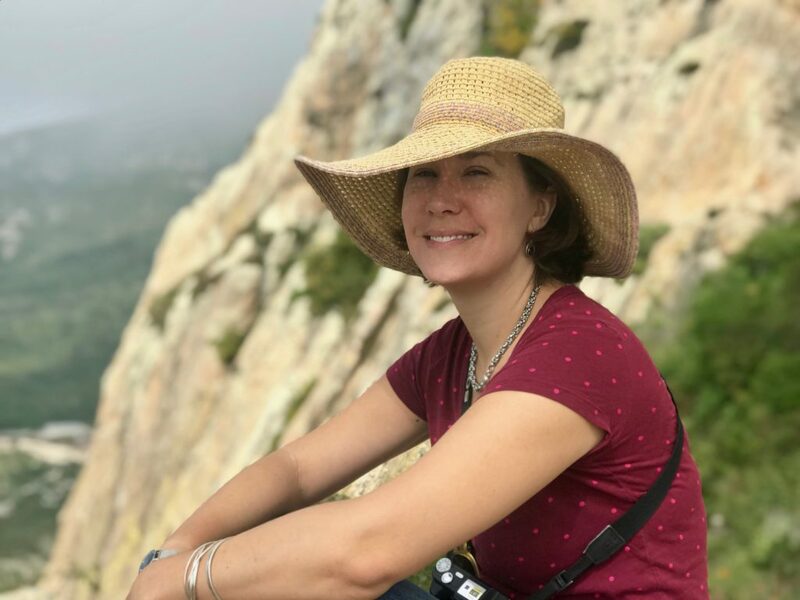 There were a few great highlights along the way: a quarry with an interesting history, an atmospheric cave nestled into a cliff, some wild horses romping nearby — all kinds of cool aspects of the local lands. At certain points along the way, we stopped to experience the fruits of the countryside. One cactus produced berries, and we got to try a few. Really delicious! From another cactus, we tried some prickly pears — known as tuna — which had a really amazing taste and texture. You’ve got to try ’em — preferably while riding on horseback through the country. I must say, it was really wonderful to enjoy the relaxing ride in such great company. Soon enough, we had reached some remarkable heights, and the view across the land was stunning. We were starting to really appreciate that soul-quenching satisfaction that Liz had mentioned. The feeling of being on horseback and lazily meandering through this awesome expanse is an experience like none other. We drank in the view, and revealed in a sense of triumph and satisfaction. Long story short: I am now a big fan of horse ranches. These riding photos by Liz of Rancho San Jorge. It’s pretty apt to use this expression: our afternoon with Jorge and Liz at the Rancho was truly unforgettable. We’ll look back on it often with incredible fondness. 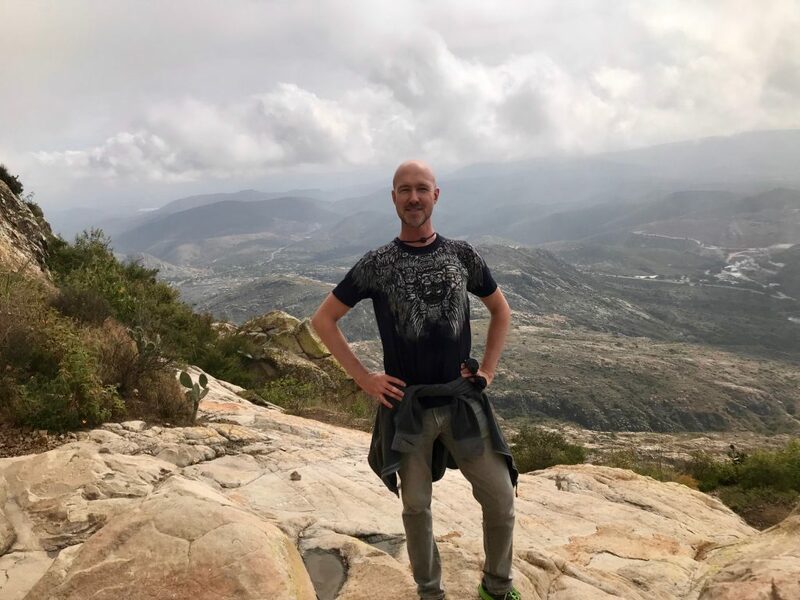 After having viewed the rocky wonder of Peña from afar for so long, it was about high time for us to climb it! Omar from Casa Mateo joined us for the hike. Since he was a local, he knew the trail really well — and lots of the folks along the way! Since he was in great shape, he navigated the trail very smoothly. Us? Not so much! The trail is quite forgiving. If you aren’t up for much of a hike, you can get a nice view from part of the way up. The trail gets more rugged from there, but it also gets more amazing. We handled things just fine at our own pace, made it to the top of the walking trail, and we were rewarded with quite the staggering vista. The top of the trail is remarkable. Some people even go rock climbing all the way to the tip-top! It felt incredible to connect with the land this way. It’s easy to see why it’s one of the 13 Wonders of Mexico. 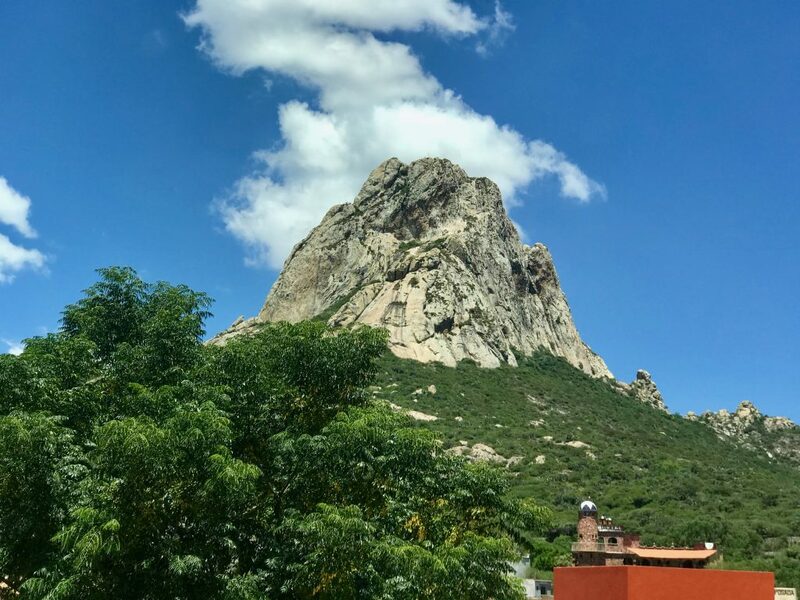 Our adventures in Bernal made for a very special view of Querétaro. If you are feeling an urge to refresh and recharge, this is a really wonderful environment for it!